A SACEE project in association with the Grahamstown Foundation and sponsored by the DE BEERS CHAIRMAN’S FUND. The English Olympiad first started as a small project in 1976 when Dr Malcolm Venter, a member of the Eastern Cape branch committee of SACEE (and now the Council’s National Chairperson) was asked to organise such an event locally. The first competition attracted 119 entries and the winner received a prize of R50. The following year the Grahamstown Foundation agreed to take over the general administration of the SACEE English Olympiad and the competition was extended to cover the whole of the old Cape Province. The number of entries rose to 332 that year. In 1978, the Olympiad was further extended to include all parts of South Africa and the number of entries continued to rise substantially from then on. The 1982 Olympiad for example attracted 2,760 entries from 256 schools, a 45% increase from the previous year. In 1985 De Beers came on board as the main sponsor of the SACEE English Olympiad. In 1995 SACEE decided to discard the existing ‘set text’ system and introduce a new ‘open book’ format. This allowed for a more theme-orientated approach. For the first time examiners were able to ask questions which were open-ended and which required p ersonal responses. This change proved to be extremely popular with a total of 4,115 entries being received that year. Two years later, 300 schools submitted a total of 4,676 entries between them and the competition has continued to grow every year since then. SACEE is extremely proud of its English Olympiad project and grateful thanks go to the main sponsors, the De Beers Chairman’s Fund and to Rhodes University for its scholarship prizes to the top fifty winners. Further thanks go to the sponsors of cash prizes for the top twenty; which include the English Academy of Southern Africa, Maskew Miller, Longman Publishers and Monash SA. In addition, SACEE is most grateful to the Grahamstown Foundation for all the organisational work undertaken by them. The Eastern Cape branch of SACEE has remained entirely responsible for the academic side of the competition since its inception in 1976. Initially the academic input was provided by Dr Malcolm Venter but since his retirement from teaching, this has been taken over by Dr Diana Ayliff a member of the SACEE Eastern Cape branch who is ably assisted by an army of markers and administrative staff. What is the ‘English Olympiad’? 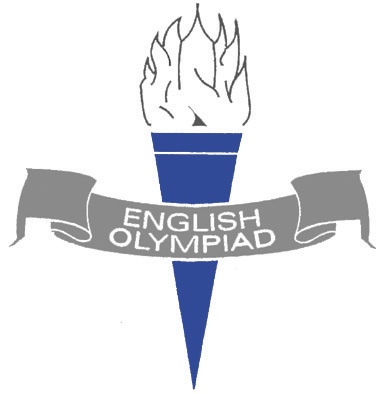 The English Olympiad is an annual nationwide examination open to pupils in Grades 10, 11 and 12. Its aim is to enrich and deepen the candidates’ appreciation for the English language and its literature. Candidates are required to read and study a text that is compiled each year. This text is usually based on a theme such as “war”, “Shakespeare’s love poetry” or “School writing” and comes in the form of an anthology that might consist of just one genre such as drama or poetry, or a mixture of genres. Although there is a rank order of the top one hundred candidates and huge prizes and bursaries for some of them, the Olympiad is more about participation and enrichment of all. What is looked for in the Olympiad is a critical, intelligent, individual response to the given works. It is not an examination where candidates can regurgitate notes or facts. The prizes for the top candidates include cash prizes, books, book vouchers and scholarships. The top fifty winners are awarded scholarships by Rhodes University that largely cover their academic fees for their first year of study at the University. The top 15 enjoy a fully paid trip to the Schools’ Festival and the top three win cash prizes. The De Beers Chairman’s Fund is by far the largest sponsor of this Olympiad. The closing date for entries is from mid September to early November each year and the examination is written in early March the following year. Calling all English Olympiad enthusiasts! We are gearing up for the 2019 English Olympiad. Our new theme for 2019 is “Hidden Truths” and the anthology is entitled A Twist in the Tale. Candidates will enjoy a collection of short stories, each with their own twist unfolded at the end of the story. Explore the hidden truths! Call for Entries – for information about the Olympiad, how to enter and prizes up for grabs. Entry Form – please complete this form to enter, and fax/email it to the Olympiad Officer before the closing date. Suggested Answers – to the 2019 Study Guide. The closing date for entries was the 31 October 2018. Entries cost R125 per entry/candidate. The Grahamstown Foundation and the South African Council for English Education (SACEE) have announced the rank order of the top 100 English Olympiad winners at an official prize giving ceremony held in Grahamstown on 10 July 2018. The English Olympiad is an annual English competition that drew more than 6411 Home Language and First Additional Language (FAL) entries this year from high schools throughout South Africa, Lesotho, Botswana and Mozambique. This prestigious competition has been running since 1976 and is organised jointly by the Grahamstown Foundation and the South African Council for English Education (SACEE). It has been sponsored by De Beers since 1985. ‘To be placed in the top 50 is no mean achievement,’ said Dr Malcolm Venter, National Chairperson of the South African Council for English Education, which is responsible for the English Olympiad together with the Grahamstown Foundation. ‘The Olympiad demands a considerable amount of preparation on the part of the candidates, and they have to face a three-hour examination which requires answers that show original thinking and ability to express themselves in a creative style, while at the same time substantiating their views from the prescribed text.’ Each year the Olympiad is centred around a theme based on a literary anthology. The theme for the 2018 Olympiad was ‘The poetry of war and peace’, and was based on an anthology entitled We will remember them. 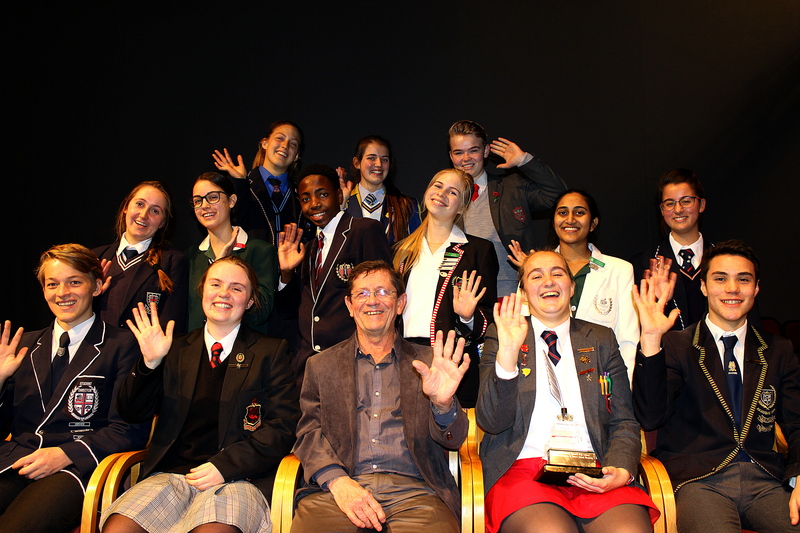 Front row: David Weber, Westville Boys’ High School; Camilla James, Kingswood College (3rd place); Dr Malcolm Venter; SACEE National Chair; Keara Martino, St Mary’s School Waverley (1st place); Theodore Pauw, Jan van Riebeeck High School (5th place). Middle row: Georgina Stanley, St Stithians Girls’ College Randburg; Holly Munks, Durban Girls’ College; Olwethu Sigwela, St Martin’s School; Jenna Murison, Ashton Ballito College; Cenelle Gounden, Durban Girls’ College; Shannon Morrison, Cornwall Hill College. Back row: Rebecca Behne, Rustenburg High School for Girls; Astrid Burgess, Hoërskool Waterkloof; Emma Rogers, St Mary’s School Waverley. 2018 English Olympiad (HL) TOP 20 in RANK ORDER! 2018 First Additional Language (FAL) Top 20 in RANK ORDER! The call for entries for the 2019 Olympiad will be issued to schools at the beginning of August 2018.